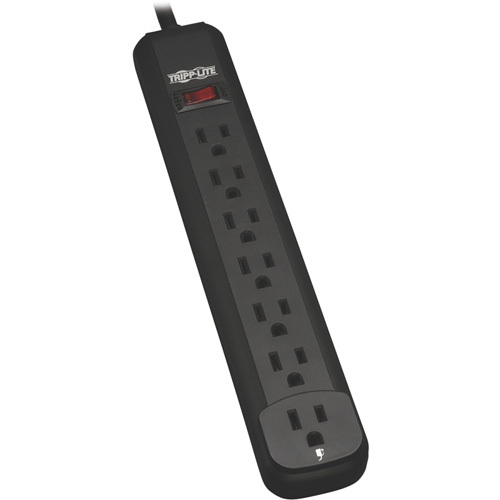 The PS725B Power It!™ 7-Outlet Power Strip is a reliable, convenient, cost-effective 120V 1800W power strip that lets you connect up to seven electrical devices to a single AC wall socket. 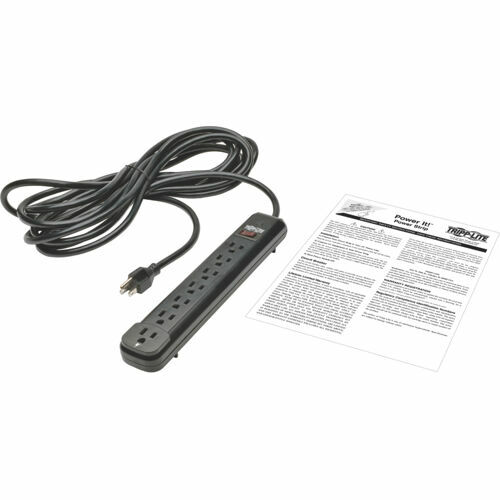 With a 25-foot AC power cord with NEMA 5-15P plug that reaches distant outlets and provides flexibility in placing the unit, this multi-outlet power strip is ideal for use with appliances, power tools, lighting and other electrical equipment in homes, offices and work sites. 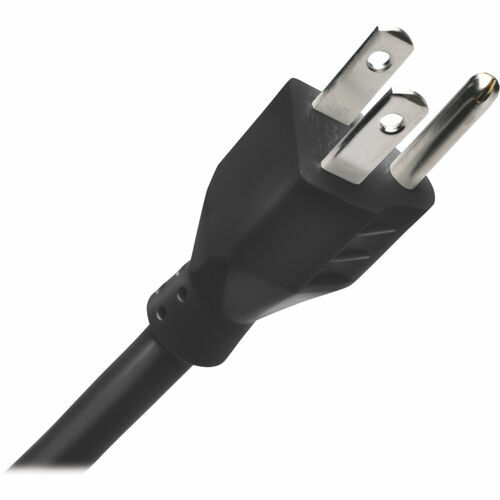 Your components plug into seven NEMA 5-15R outlets, including one designed to accept bulky transformers without blocking adjacent outlets. Integrated 15-amp circuit breaker protects all outlets against dangerous overloads. Lighted on/off switch provides one-touch control over connected equipment. Keyhole slots incorporated into the bottom panel provide convenient wall or desk mounting options for the black plastic housing.